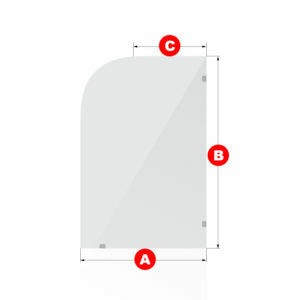 This is a great single frameless glass shower panel with its perfect, beautiful, rounded shape. Can be used by itself or in concert to create a larger, grander design. 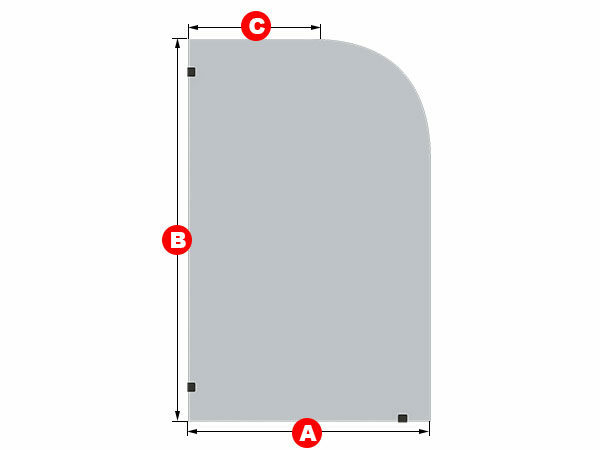 Custom sizes can be ordered by changing the dimensions should you have need of this product at a larger or smaller size. 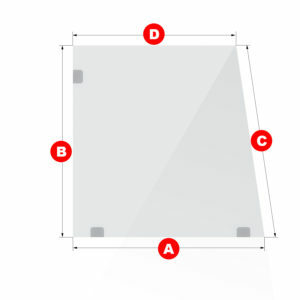 The type of glass can also be changed, and the options are two: clear or frosted. 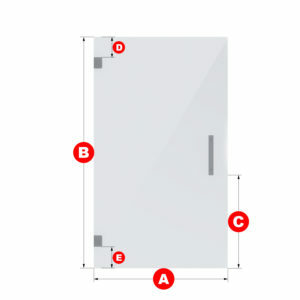 This is the perfect rounded frameless shower door for your bathroom! 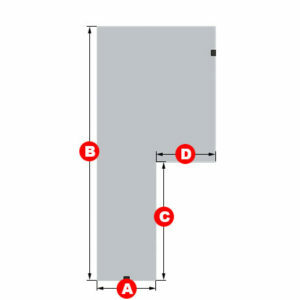 No hardware is included in single panel glass products.